With March now way underway, I think it's fair to say we're moving in Spring and the Winter is behind us. 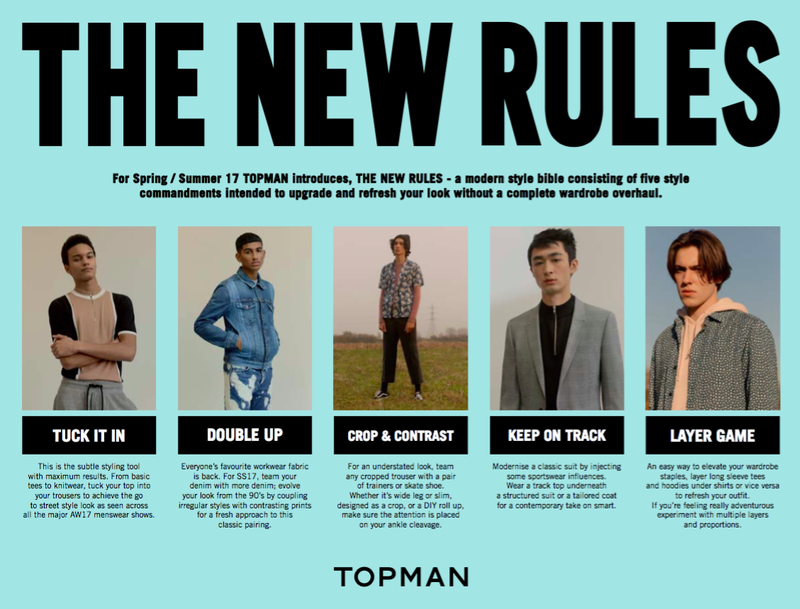 With that, new trends begin to circulate and I've teamed up with Topman to bring you their 5 rules, to keep your Spring/Summer style on track. There's something for everyone in there and they've made sure to keep us guys looking suitably smart throughout the season. It doesn't matter if you like to keep your style classic and simple, or like to make an impact, keep these guidelines at the back of your mind to avoid any fashion blunders. This is the subtle styling tool with maximum results. 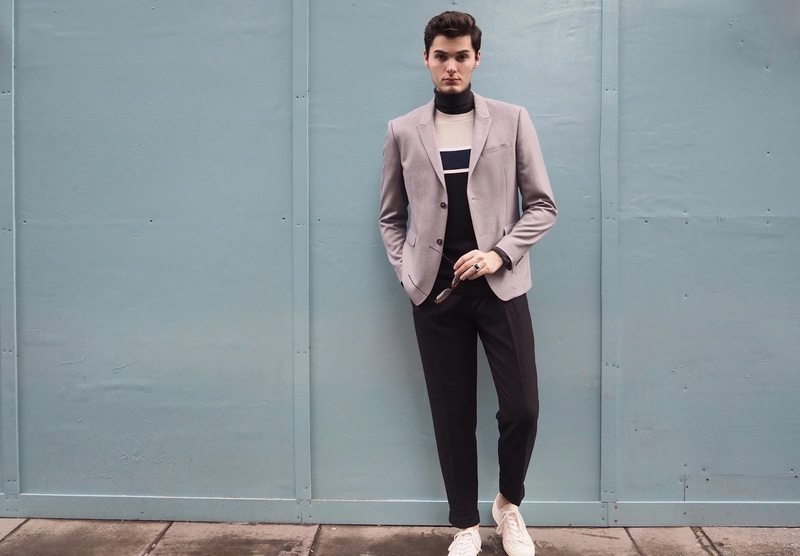 from basic tees to knitwear, tuck your top into your trousers to achieve the go to street style look as seen across major AW17 menswear shows. Perhaps the easiest to achieve, this is one of my favourites and smartens any outfit, cleaning the silhouette and getting rid of baggy, longline tee's. Everyone's favourite workwear fabric is back. for SS17, team your denim with more denim, evolve your look from the 90's by coupling irregular styles with contrasting prints for a fresh approach to this classic pairing. This one may take a little getting used to but is worth the work. I think they easiest and safest approach is going for darker washes and slowly working your way to a true blue. For an understated look, team any cropped trouser with a pair of trainers or skate shoe. Whether it's wide leg or slim, designed as a crop, or a DIY roll-up, make sure the attention is placed on your ankle cleavage. Another favourite of mine, this option allows for a warmer seasonal trend, without showing those knobbly knees and adds that modern touch to your favourite trouser or denim. 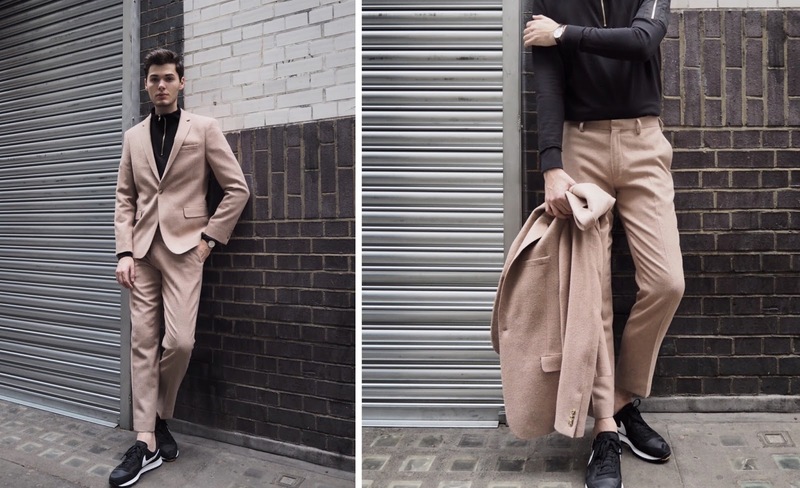 Modernise a classic suit by injecting some sportswear influences. 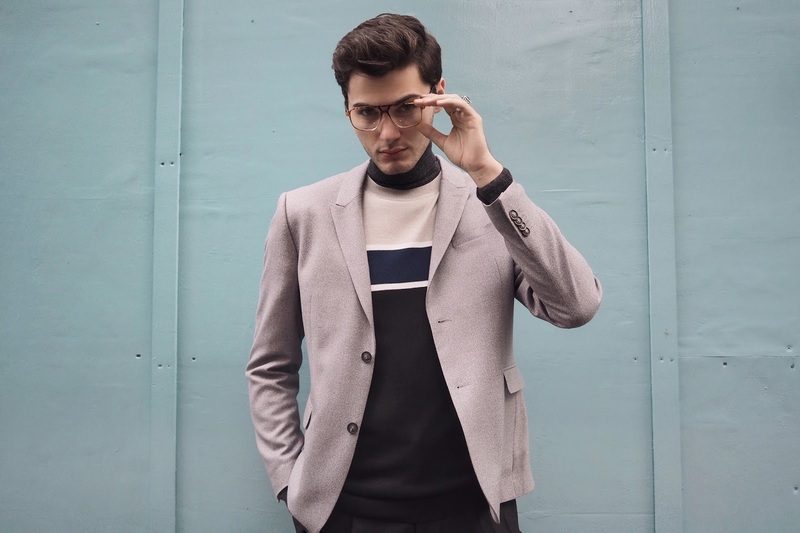 Wear a track top underneath a structured suit or tailored coat for a contemporary take on smart. Keep it as simple as you like with the addition of a sports tee and throw on your favourite trainers to complete the look. Possibly the furthest from my normal style, but one that I've recently been trying to. An easy way to elevate your wardrobe staples, layer long sleeve tees and hoodies under your shirts or vice versa, to refresh your outfit. If you're feeling really adventurous experiment with multiple layers and proportions. A timeless style tip and one that lends itself to the spring with unpredictable weather and removable layers. Mix patterns and prints to stay on top of your game!